Have you been told to never paint your brick or masonry home? Imagine if you could paint the exterior of your brick home without worrying about maintenance or causing issues. Traditionally, experts have not recommended painting brick because water and moisture can cause damage. But, if you use a breathable, mineral paint that does NOT seal the brick and allows the moisture to release, then you won’t have these issues. 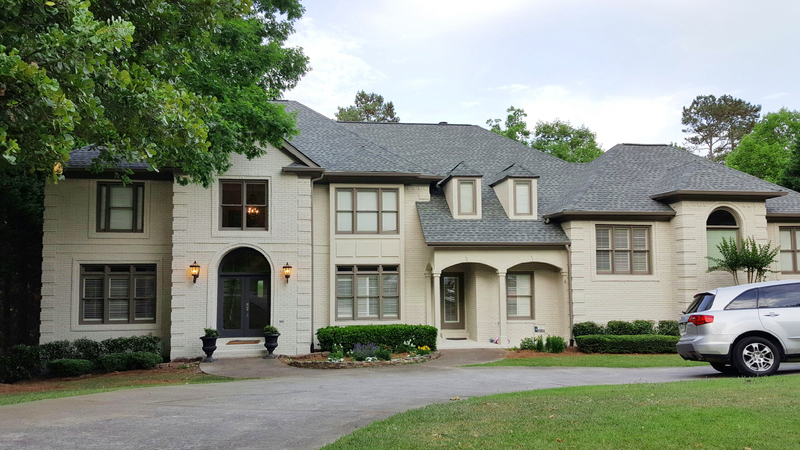 Romabio has created BioDomus I & II, specially formulated Mineral Masonry paints, so you can paint the exterior of your brick or masonry home with a highly durable, long-lasting paint that won’t peel or flake off, has high-UV resistance, is naturally mold-resistant, and has a beautiful, flat finish. 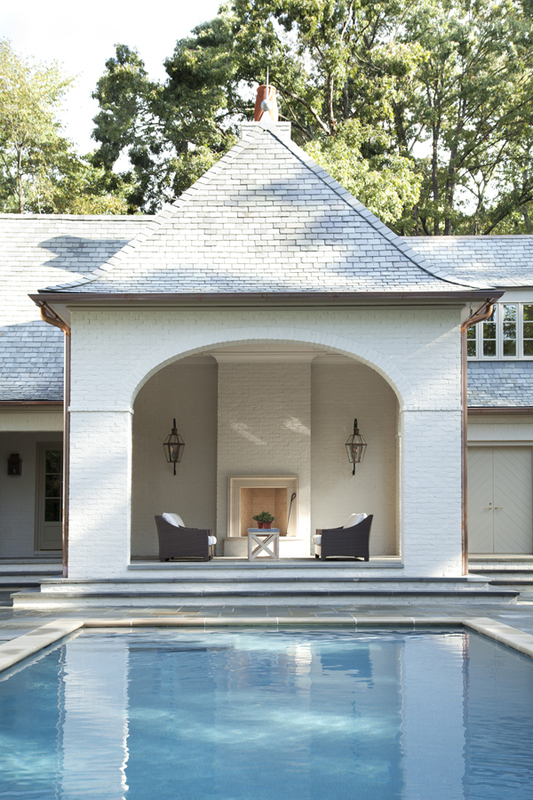 For a flat, solid, and permanent finish with a natural beauty, choose Masonry Flat. It is extremely durable, can be tinted to the color of your choice, and lasts 20 years with no peeling or chipping off. It is 2 coat system (no additional primer) for unpainted, absorbent brick or stone. For all other surface types, you must use BioGrip Micro or BioGrip Medium as a primer, then add 1-2 coats of Masonry Flat. For a flat, solid, and permanent finish with aggregate in it that creates a slight texture, choose BioDomus II. It is extremely durable, can be tinted to the color of your choice, and lasts 20 years with no peeling or chipping off. BioDomus II will look slightly different than BioDomus I, because it has aggregate. On rough brick, it will create a smoother finish, but on smooth brick it will create a slight texture. It works great for smoothing rough concrete, cinder block, or other rough masonry surfaces, as it will fill in and help the surface to appear softer and more uniform. It can also create a stucco-like finish with paint, used as a thick finish coat. More details in TDS. It’s a 2 coat system (no additional primer) for unpainted, absorbent brick or stone. For all other surface types, you must use BioGrip Micro or BioGrip Medium as a primer, then add 1-2 coats of Masonry Textured. I did a side-by- side comparison of the BioDomus product and one of your competitors and found that it had much better coverage. The Masonry product adhered to the surface better too, and wouldn’t scratch or chip off. We are really pleased with it and with only two coats needed, it has better value and performance. A very low maintenance paint for brick, stone, concrete, and other masonry surfaces. These mineral based products are different than any other paints in the industry. They are natural products that have a similar molecular structure to that of the brick and masonry surface, and are highly permeable (perm rating of 70+). This contributes to a breathable wall system which means water moisture contained in the parts of a structure or surface can diffuse outward without resistance, keeping walls dry and preventing structural damage over time, and resisting moisture that contributes to mold growth, making them naturally mold-resistant. Mineral based paints have an extremely high-UV resistance, extending the performance of the product. The chemical fusion with the substrate and the UV stability of the binder are the fundamental reasons for the extraordinarily high lifetime of silicate paints. Dilute the paint with water. You’ll need an extra mixing bucket, and a paint drill….it only takes 3-5 MINUTES. should be wet but not dripping. Apply like normal paint with large masonry brush, roller or sprayer. If using Masonry Textured, you’ll need a texture or aggregate sprayer. recommend an experienced applicator in your area. Call us at 678 – 905 – 3700 ( or go to this form). And they are environmentally friendly. The Masonry Paints are C2C Silver certified, toxin-free and do not have added APEO, PEG, PEO, or formaldehyde. They do not contain solvents, phthalates, styrene, amines, free monomers, endocrine disruptors and biocides, or other toxic chemicals found in traditional acrylic paint. They are Zero VOC and we have 3rd party reports verifying our marketing claims so you can trust our paint is safe for you, your family, and the environment. Masonry Paints can easily be applied with a brush, roller or sprayer. If using BioDomus II, you must use an aggregate or textured sprayer. And for all of our masonry paints, you must dampen the surface prior to application. Download a copy of our application guides in English and Spanish here.